From Greta Thunberg to Egg Boy: Children are changing the world. I have come to think of young people as being twice disadvantaged members of society: firstly, they cannot vote, so they have no active political voice, no agency in terms of the decisions and laws that impact their lives and futures. Secondly, they are often diminished, patronised and dismissed as ‘immature’ when they prove time and time again to be wiser and more eloquent than the adults around them. Young people of school-going age are at the height of their capacity for idealism and they know exactly what is fair, and what is not. On June 16, 1976, when I was a seven-year-old waiting for a train on Kenilworth Station in Cape Town, South Africa, black children all over my country began rioting. Station windows were broken and there was glass everywhere. I didn’t know what was going on. A sign that said ‘Nie-Blankes’ (Non-Whites) lay smashed on the ground. I didn’t know that the black children of my generation – 20,000 of them in South Africa, were about to set in motion what was the beginning of the end of the Apartheid regime. So why were children rioting, risking their lives, rushing armed police? Because these youngsters, barely older than I was, were being forced, under new legislation, to learn all their lessons in Afrikaans – the language of the oppressor, of the then-minority government, the ruling National Party. And the children were not going to have it. They were tired of legalised racism, of Apartheid, of being third class citizens, arrested and detained without trial at any time in any place, of dying in detention, of being forced to be slaves to white masters. They were tired of the racist ‘Bantu Education’ designed to ensure they would forever serve as ‘hewers of wood and drawers of water’. Around 700 children were killed by police that day, and June 16 remains a public holiday, ‘Youth Day’ in South Africa, in memory of the children who lost their lives. It took almost two decades before Apartheid finally ended. The children grew up and they didn’t let up. The transition from white to black, from President F.W De Klerk to President Nelson Mandela happened on May 10, 1994. Would this have transpired had the black children of my generation stayed at their desks being beaten into submission and doing what the government required, while protesting quietly on a Saturday afternoon? 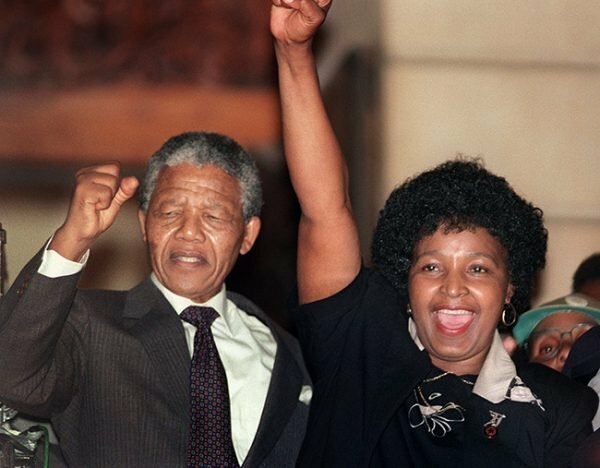 Anti-apartheid leader, Nelson Mandela and his then-wife Winnie salute cheering crowds upon his release from prison in 1990. Image: Getty. People take to the streets because all other means of making their dissatisfaction known have failed. 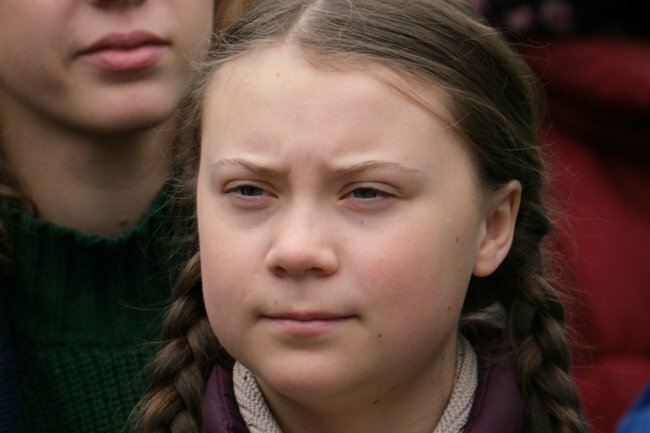 When 16-year-old Swedish girl Greta Thunburg peacefully protested against the lack of action on the part of the politicians and refused to go to school on Fridays, eventually gaining world-wide attention, she was using the only way she had to make a statement about the urgency of a world on the brink of a point of no return in terms of climate change. Presenting at a TEDx Stockholm event in November 2018, she concluded her speech saying: "we can’t change the world by playing by the rules, because the rules have to be changed". Telling these children to go back to school, which is the stock response of almost every politician, holds no weight. It is estimated that worldwide, more than 1.4 million people took part in the recent march that began with a teenager not going to school on Fridays. Children’s protests and marches from South Africa in 1976 to Sweden and the world in 2019 happened because the polite Saturday afternoon voices of the world’s youngsters were not being heard. So, guess what, Australia? You’ve done a stellar job. Your young citizens, though they have no voting voice, are powerful. They are confident and creative. The School Strike 4 Climate, mobilised tens of thousands of children, demonstrating that not only are our youngest, non-voting citizens aware and informed about the state of their planet, they are active. This took courage. Schools across Australia locked gates to keep students in, and issued suspensions. Politicians told kids to go back to school. These young people are not daunted. They are insisting that anyone who suffers from acute short-termism, listen. In a few short years, these kids will be voters. And they will vote out those who did not listen, because their futures are at stake. 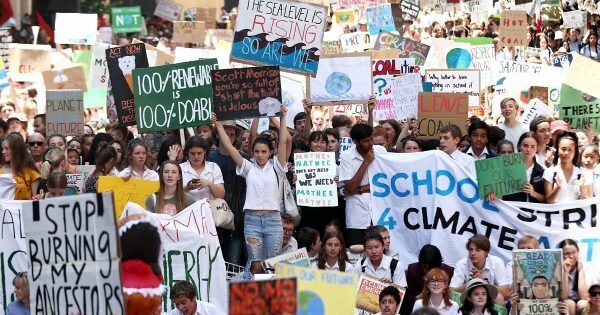 NSW students protesting to demand the government to take action on climate change. Image: Getty. When ‘Egg Boy’ Will Connolly smashed an egg on senator Fraser Anning’s head after Anning made appalling victim-blaming statements about Muslims after the horrific Christchurch massacre, Connolly turned the world’s ear to the real issue at hand. He got millions to listen. There it was again: an act of courage by a young person who could not vote. He used an egg to focus the world’s attention back on what mattered at a time when hearts were broken and Muslim children were senselessly dead. Apartheid didn’t come to an end because of benign complaints on Saturday afternoons. Women didn’t get the vote because they pulled off their aprons after cooking all morning on a Saturday and made polite noises between lunch and tea-time. Likewise the Civil Rights movement in America didn’t happen on a convenient weekend when it didn’t disrupt the grand narrative of the time. History shows us that evolution means disruption. The marches, the sacrifices that raise awareness about issues that face us all, do in fact, change the story. Thank goodness for the courage of those too young to vote in America who marched for their lives to bring attention to the gun laws; for the courage of the youngsters marching to draw attention to the fact that we are close to a disastrous tipping point in terms of climate change. Thank goodness for a boy with an egg. Listen to the children. They are informed. They are active. They are changing the rules. They also have nothing to lose. They are asking for those in power to make decisions based on wisdom rather than greed. They know that we don’t need a gigantic Adani coal mine on the edge of the Great Barrier Reef instead of a habitable planet for everyone for the very near future. All I can say is, thank goodness for the children. For the young people. Because they’re the ones doing it now. 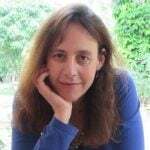 Shelley Davidow is the author of 45 books and an academic in the School of Education at the University of the Sunshine Coast. Her latest book is Shadow Sisters (UQP, 2018).